Dr. C. Michael Jones, who heads the Cancer Center at Baptist Memorial Hospital-Union County, is shown with Amanda Howard and Amanda Coggins during the Thursday evening Survivor Dinner. By making monetary donations, by participation in events or both, many hundreds of Union County residents participated in this year’s Relay for Life 2018 program. 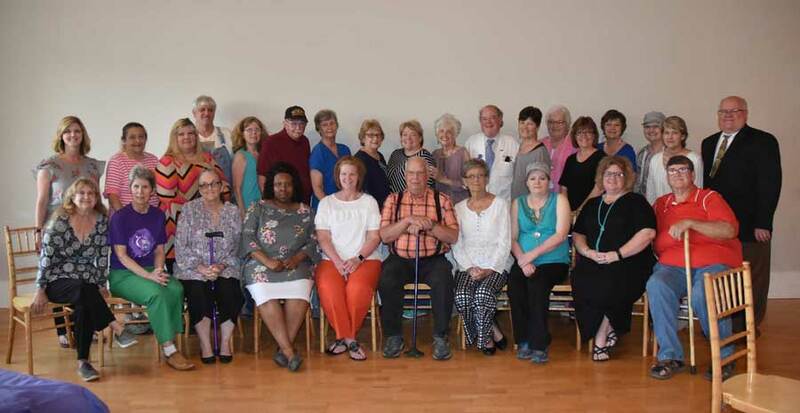 New Albany is one of 5,000 communities in the United States and around the world that participate annually in Relay for Life, the major fund-raising program of the American Cancer Society. Money raised helps improve cancer survival, decrease the incidence of cancer, and improve the quality of life of cancer patients, their families and caretakers. Relay for Life was started in 1985 in Tacoma, Washington, by Dr. Gordon Klatt, a colorectal surgeon. Dr. Klatt enjoyed participating in marathons and had the idea of asking people to donate money and walk with him during the first such event. The Survivors’ Dinner was held Thursday evening at The Event Hall in downtown New Albany and was sponsored by Baptist Memorial Hospital-Union County. Dr. C. Michael Jones, who heads the Cancer Center at Baptist Union County, joined about 30 cancer survivors for the dinner. Dr. Jones received his medical degree from the University of Alabama-Birmingham and did his oncology residency at Johns Hopkins Hospital in Baltimore. He is an associate of M.D. Anderson Hospital in Houston. Cancer survivors and their supporters gathered for dinner Thursday, May 3. Opened in August, 2016, the Baptist-Union County Cancer Center has served hundreds of local cancer patients, who would otherwise have had to travel to other cities for treatment. The New Albany cancer treatment facility offers comprehensive cancer services including chemotherapy, clinical trial programs, and personalized treatment options. The facility has five exam rooms, a large treatment area with eight recliners, and special designated parking. Part of the Baptist Union County team at Relay for Life 2018. 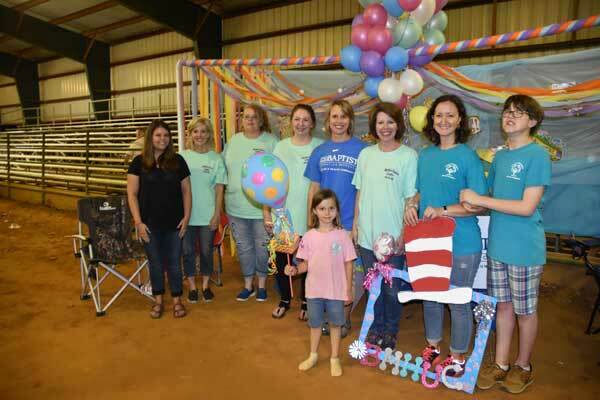 The Friday night Relay for Life 2018 relay event was held at the Coliseum of the Union County Fairgrounds. Cancer survivors, their friends and families were entertained with live music and enjoyed food and refreshments during the four-hour event. 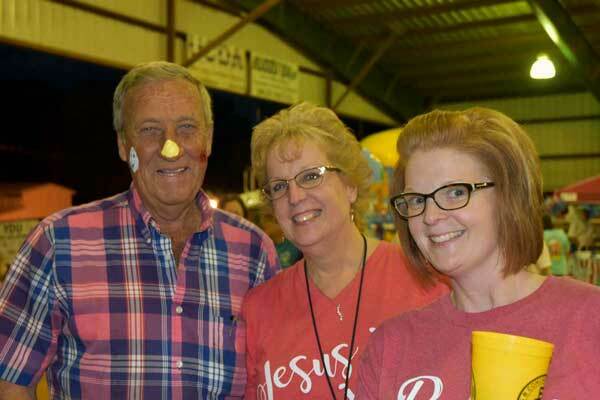 Several local sponsors, churches and other organizations had informational booths set up at the Friday night event. More than 200 people attended the Friday night event, which opened with the traditional “survivors’ lap,” honoring cancer survivors and their caretakers.